Cookbook: The Taste of Hospitality, written by Charles and Joan. 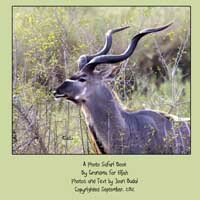 The book contains more than 200 recipes, menus, a comprehensive index, stories, pictures and poems. It is uniquely formatted into four sections, each of which is printed on a different color paper. 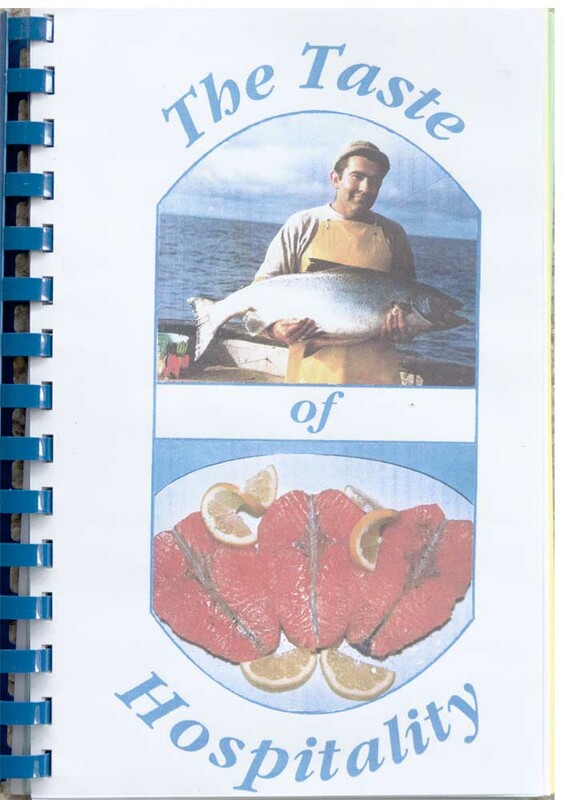 They are: 1) yellow pages – Alaskan recipes, including recipes for making and using sourdough, and using and canning salmon, among others; 2) green pages – Breakfast recipes and theme menus. 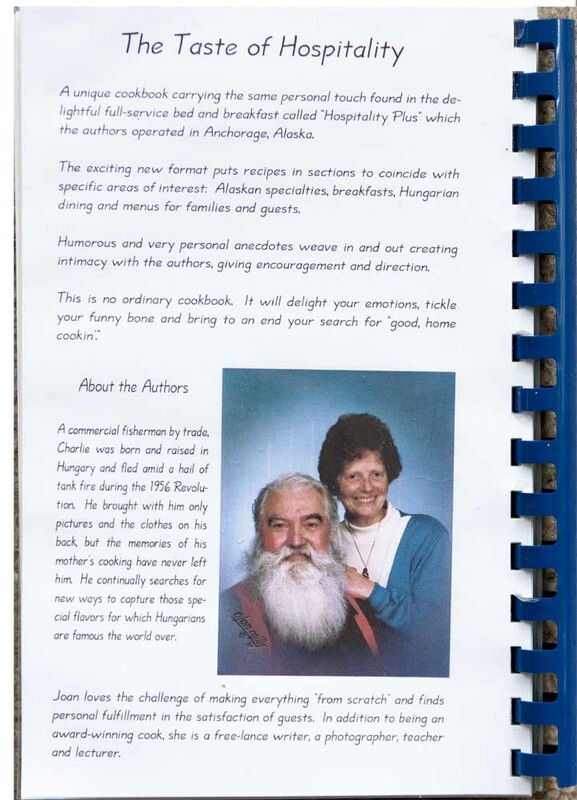 This section evolved from their 10 years as Bed and Breakfast owners/operators; 3) white pages – Hungarian recipes (Joan’s husband was an Hungarian refugee in 1956); 4) blue pages – Menu-driven for three settings: informal get-togethers, family suppers and formal dinners. Joan developed these menus to teach at Hospitality Seminars. Each copy has been hand assembled in our home, is numbered and autographed and sells for $10.00. 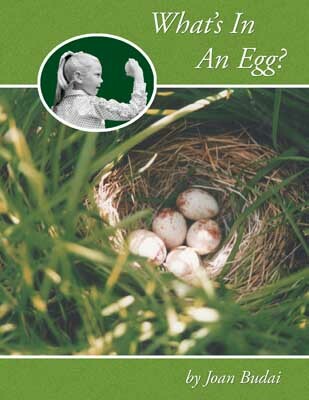 Children’s Book: What’s In An Egg? written by Joan and previously published by Master Books. Newly released now in full color featuring Joan’s images. This book answers children’s questions about where life comes from, explaining reproduction from God’s point of view. 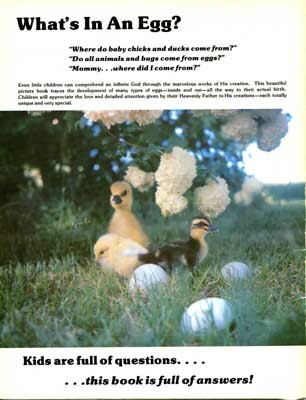 A young girl walks children through the process of hatching duck eggs explaining what is happening inside and out, then applying that information to other animals, including humans. An easy and stress-less way to explains how “life” happens. A great choice for homeschoolers! Detailed enough to use as a guideline for hatching eggs with your own children. Written for children ages 5 to 10. Autographed copies are $12 each. Personalized Children’s Book: This is a sample of a book that can be made for your child/children or grandchildren. 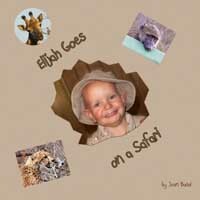 The subject matter of this book is a toddler going on an African Safari. The book you want for the child in your life can be on any subject, written by you or by Joan. Once the story line is established, Joan will come and take all the appropriate pictures and have one copy bound and printed for a total of $125. Additional copies will depend on the length of the book (how many pages) and the size of the book (physical dimensions). 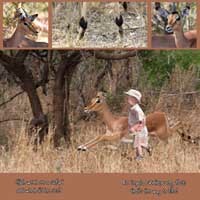 Personalized Children's Books: the sample is one of a grandchild going on a Safari. Joan will take pictures of your child/children or grandchildren, and write the story line. First copy is $125, price of additional copies varies by the total number of pages and the physical dimensions of the book.